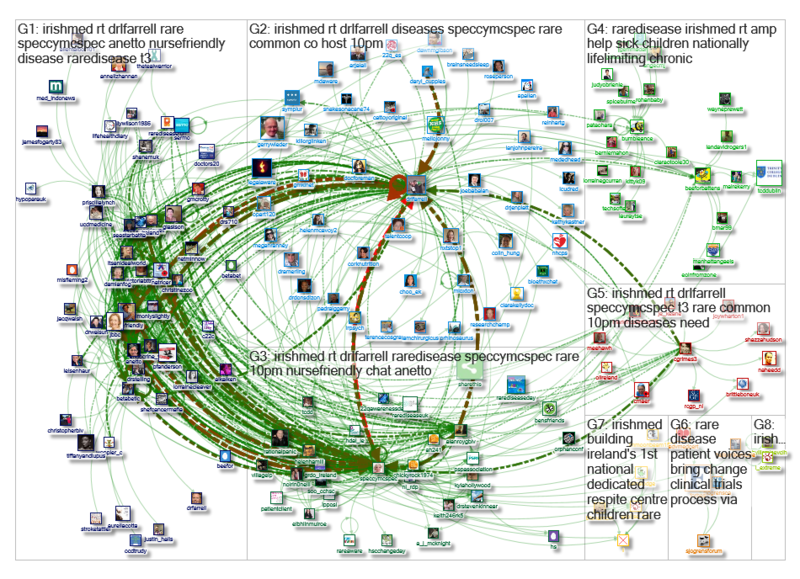 On 5 November the regular #irishmed twitter chat (Wed, 10pm) hosted a discussion on rare disease. The regular host is @drlfarrell, a GP and writer, and he asked our own @speccymcspec to co-host. Questions included: how common are rare diseases? ; which is more challenging, diagnosis or treatment? ; who/where are the experts? ; what support is available? There were over 100 individual tweeters from around the world participating and nearly 1000 tweets sent. It was the busiest hour on twitter ever experienced by many of us. So great was the interest it was difficult to keep up. Thankfully, a transcript is available, and is worth checking out. A flavour of what was said is below- from my own notes: check the transcript for full record.